1. Click on the location most convenient for you. 2. 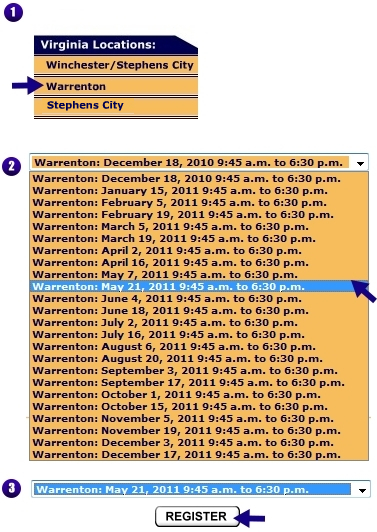 From the drop down menu, select your desired date to attend. 3. Click the REGISTER button and continue with the online payment options.